Tunisia faces a jihadist threat that arises as much from its own national territory as from neighbouring Libya. Overview by INTERNATIONAL CRISIS GROUP. To confront this threat, the authorities must urgently publish a counterterrorism strategy that adopts a multidimensional approach, prioritising prevention and including a mechanism for wide consultation. This would enable a coordinated response and help build broader national consensus around it. The priority is to overcome the mostly institutional and bureaucratic obstacles that have delayed the launch of a strategy since a new constitution was adopted in January 2014. Publishing and implementing a strategy against jihadist violence, which could destabilise the country and encourage an authoritarian drift, will mean revitalising public governance. Failing to respond coherently would allow some of the most vulnerable segments of Tunisian society to continue to radicalise, a primary goal of jihadist groups. Two strategic documents were prepared in 2014 and 2015, but never published. These should now serve as a base for the drafting and dissemination of a new text that should reflect a deep understanding of jihadist groups. Two elements will be essential for its success: better co-operation between public institutions and a mechanism for evaluating the strategy’s effectiveness with a view to making the necessary adjustments. The agency best placed to produce this type of document in coordination with the relevant ministries is the new National Counterterrorism Commission, established on 22 March 2016, which brings together various parts of the government, including from the security sector. It could also put in place a mechanism for consultation across a broad spectrum of political and civil society actors. As a first step, to give new impetus to the finalisation and dissemination of this strategy, the head of state and the head of government should agree on their respective roles in the security sector. Second, the head of government should strengthen its inter-agency coordination mechanisms, in particular the National Counterterrorism Commission and the Security Management Follow-up Cell, and create the position of high commissioner for counterterrorism, who should be given the status of minister without portfolio. His task would be to improve co-ordination between the two heads of the executive, the relevant ministries, other government agencies (both inside and outside the security sector) and the various ad hoc counter-terrorism commissions. The high commissioner should have the appropriate profile and status to be able to support the National Counterterrorism Commission in the analytical aspects of its work, namely the completion of the strategy, and help revitalise public governance. The National Counterterrorism Commission should draw on the two previous strategic documents to complete a new text, ensuring the active participation of all ministries and government agencies. 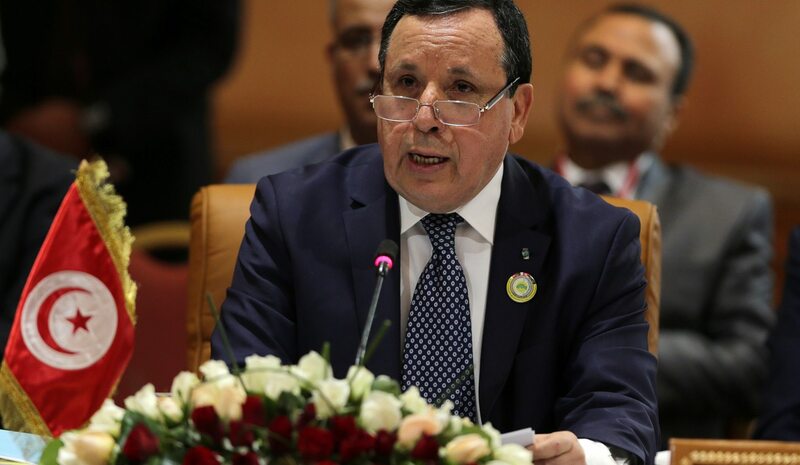 Photo: Tunisian Foreign Minister Khemaies Jhinaoui speaks during the 34th session of the Arab Maghreb Union (UMA) Foreign Affairs Council in Tunis, Tunisia, 05 May 2016. EPA/MOHAMED MESSARA.